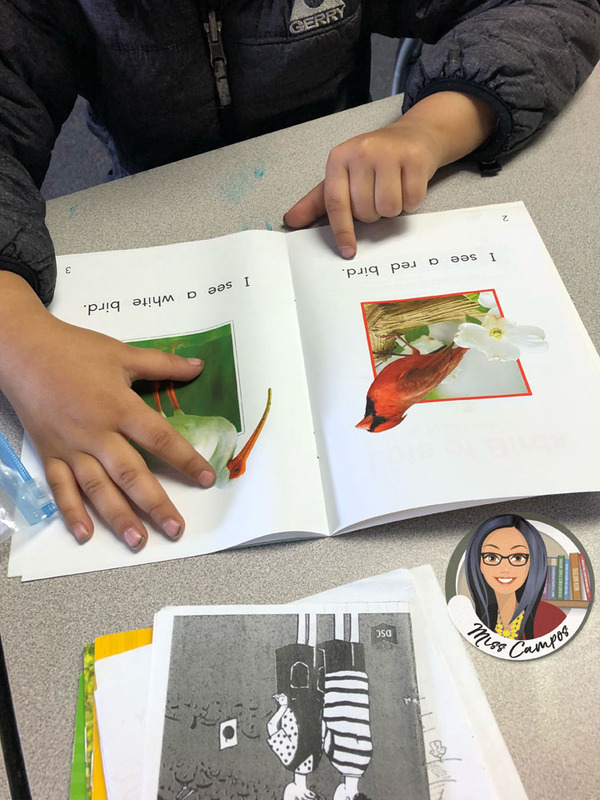 For as long as I can remember, sight-words have been a critical part of learning to read and write pattern sentences for my class. 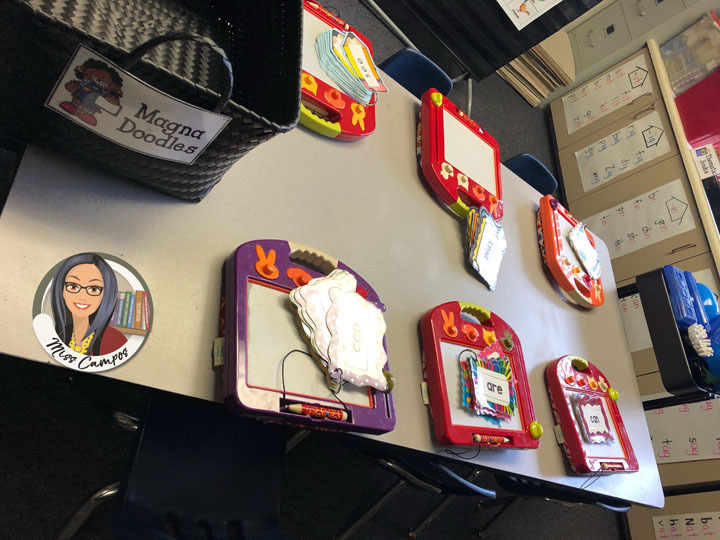 They are especially important in Kindergarten because they are tools for boosting reading motivation at the beginning stages of learning to read. For example, the majority of my students come into school illiterate. Even if they’ve mastered zero new alphabet sounds after a month of Kindergarten, if they can learn 4 or 5 sight-words, one can no longer call them illiterate. They are readers! As teachers we must celebrate this milestone and use this accomplishment to further their emotional investment in learning to read. Above is a picture of one of my little ones pointing to his sight-words as he reads a pattern sentence book. The three sight-words of this story are: see, I, a. As a result of him knowing these three sight-words he is a reader! 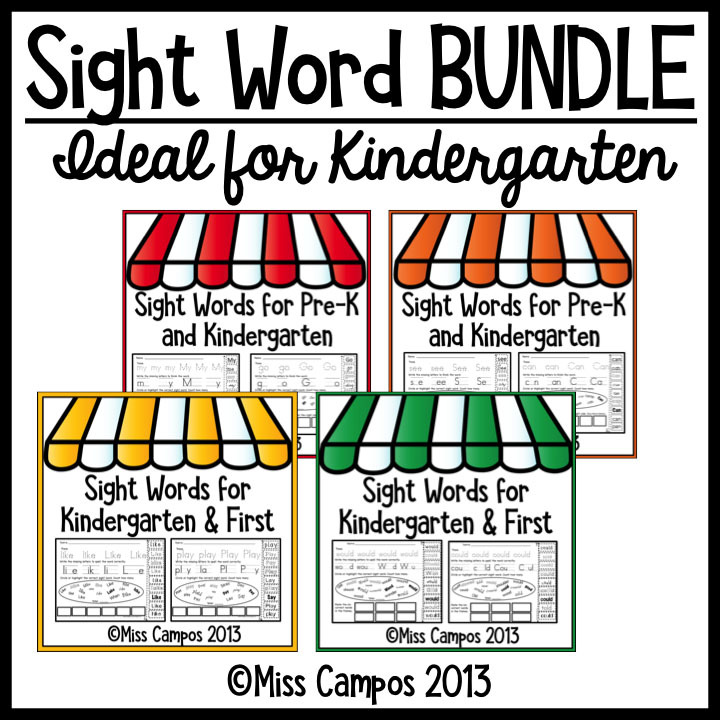 Below are more glimpses into how I teach sight-words in Kindergarten. Further, you must have your sight word worksheets organized as well. 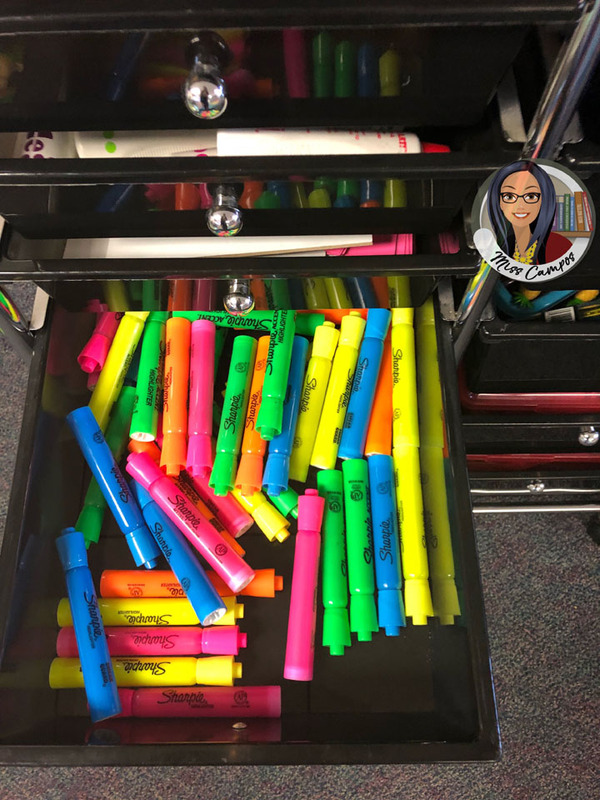 Above is a glimpse of my sight word drawer in my file cabinet. As you can see, I have all my sight words organized by their name on a folder. I have them in the order that I teach them. Currently I have about 40 but I don’t always get to all 40 each school year. The order of the first ten words is crucial because of how fragile a child’s understanding of literacy is in these stages. You want to strategically choose words that help a child express their likes, dislikes and help them describe the topics they care about. This will help them understand that anything they can say, they can write. This is such a simple concept that it easy to overlook it but it is HUGE. 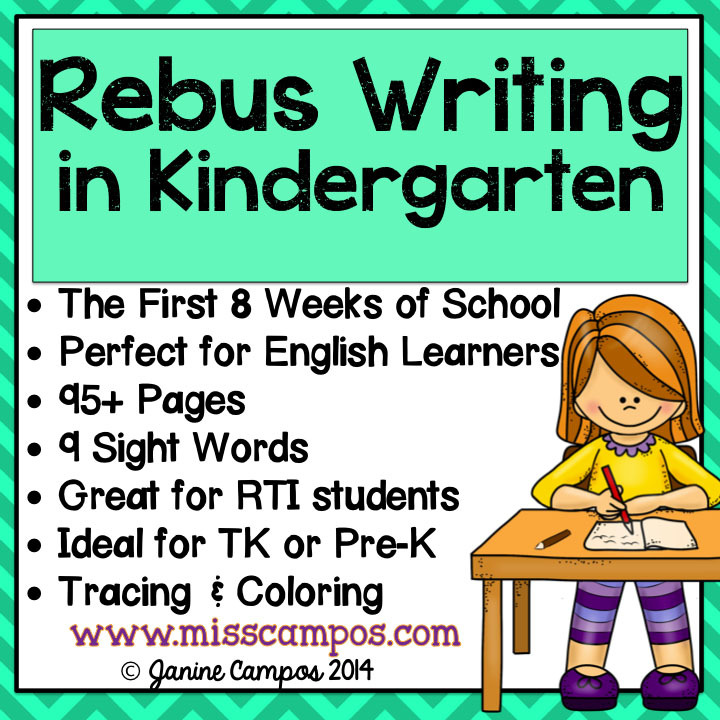 For more about this critical stage click the link to my product called: “Rebus Writing in Kindergarten.” It features the first 8 weeks of sight word instruction for the beginning of the school year stages of writing. The next set of 10 sight words should be high frequency words that continue to help kids describe topics they like. The last set of ten sight words I find can be mixed up arbitrarily. 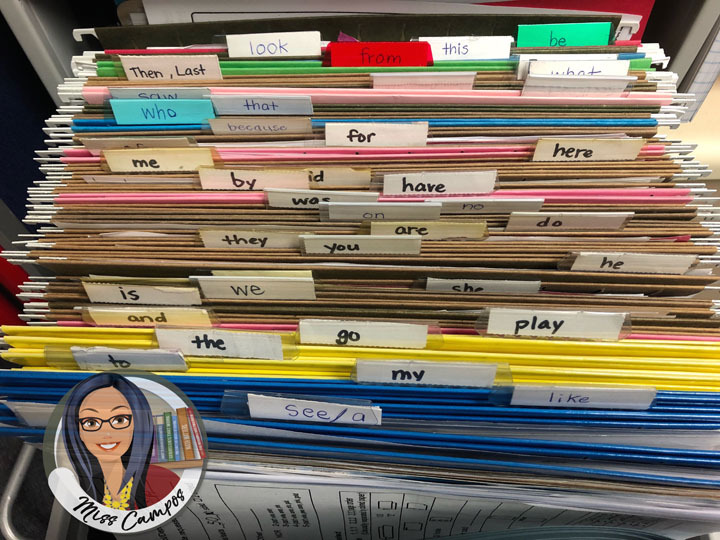 However, I always end the school year with the sight words FIRST, NEXT, THEN, LAST so that my students can learn to write narrative paragraphs. 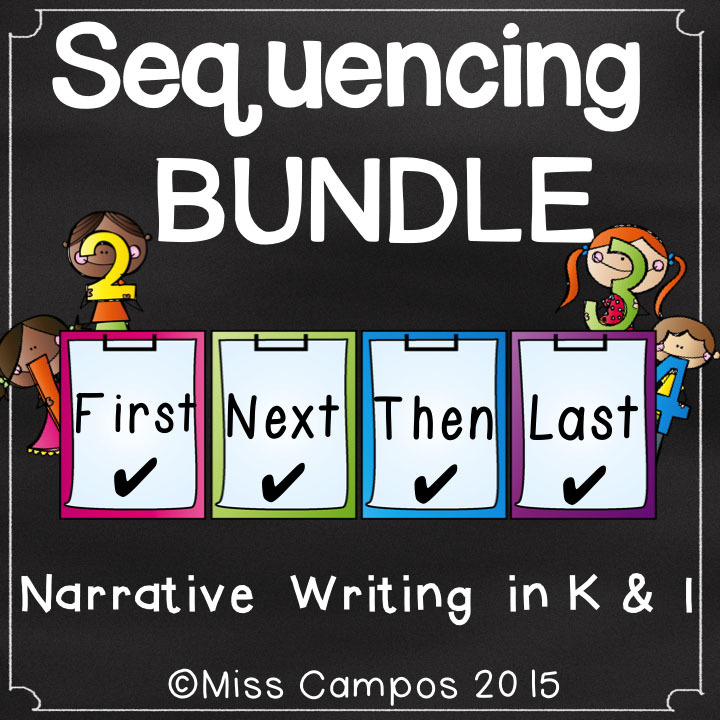 For that unit, I use my “Sequencing Bundle” product. 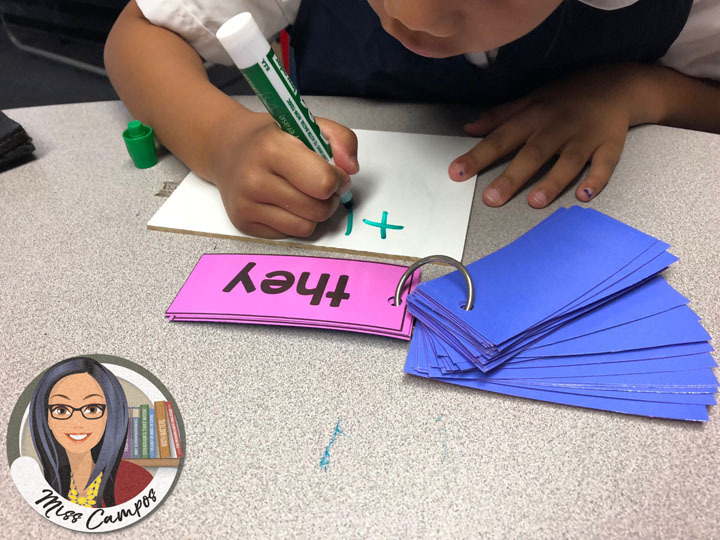 Once you have your sight words chosen, books and worksheets organized and filed, you must still create flashcards in multiple sizes and colors for your little ones. Below are two flash card displays of mine from two separate school years. 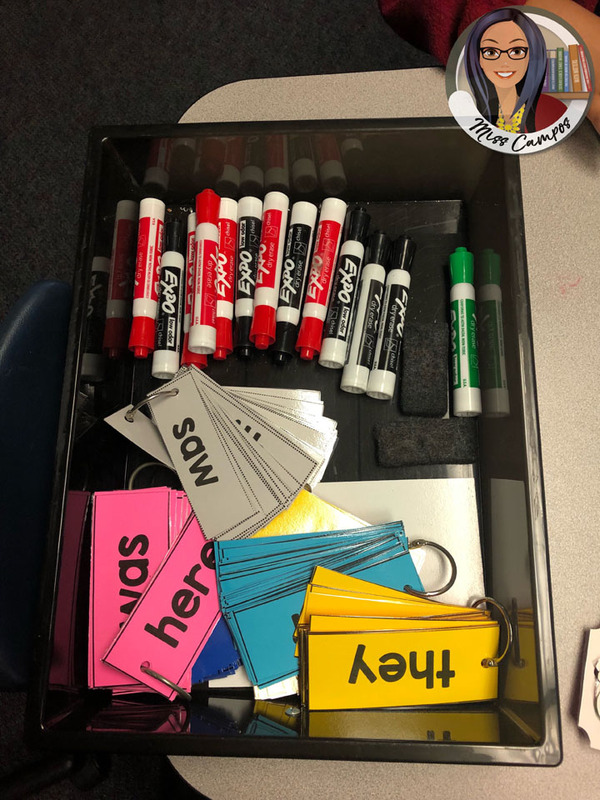 I add one word to the chart per week, usually on Monday, and the chart grows a word per week until all the words are taught toward the end of the school year. I frequently see kids getting up from their seats during writing time and checking the spelling of the word they are thinking of using. 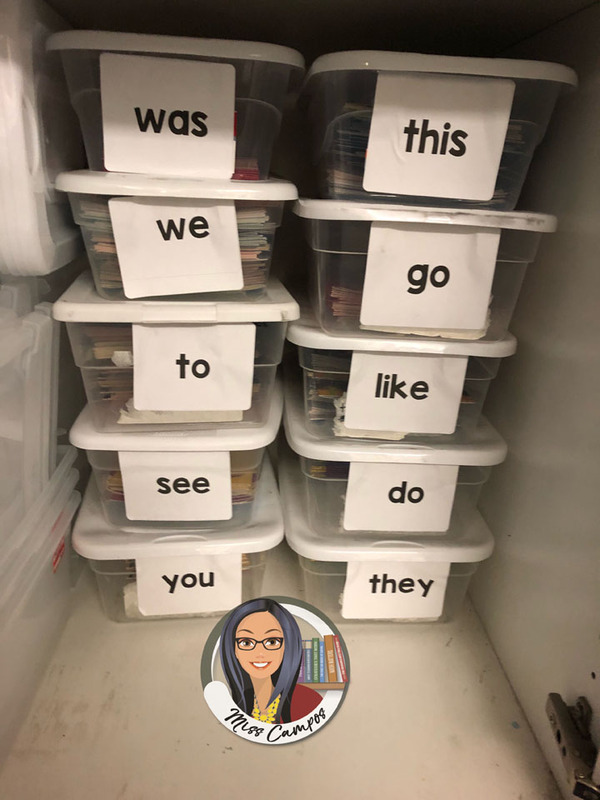 Also, it helps to keep the past sight-words from being forgotten because they are visually accessible. 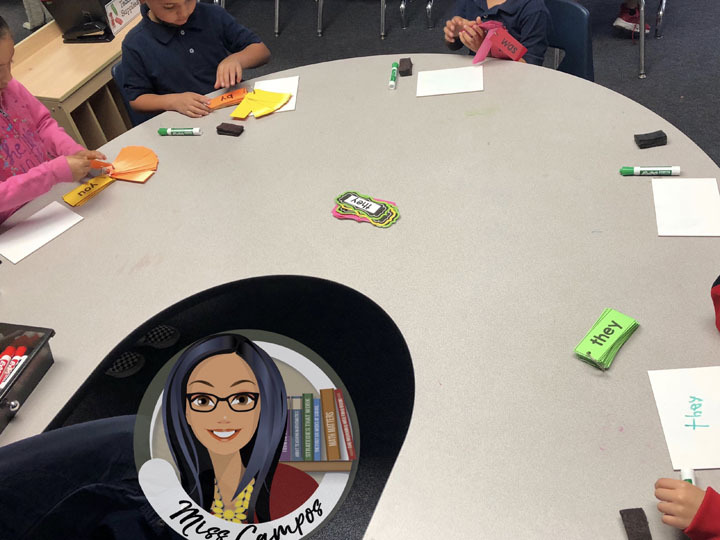 I frequently use the flashcards as a time-filler when we end an activity early or during transitions. I grab all the flash the cards in my hand and flash them to the class. I have them say the words and spell them aloud to me chorally like in a spelling bee. 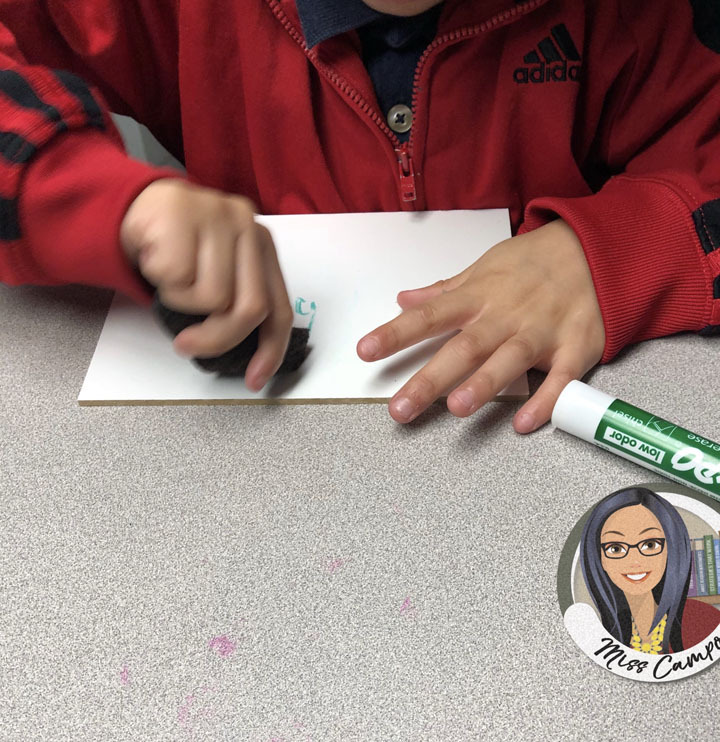 Another successful sight word activity is called, “Find it, Write it.” Basically, I put flashcards on a ring for each child and give them each a mini whiteboard, dry erase marker and eraser. 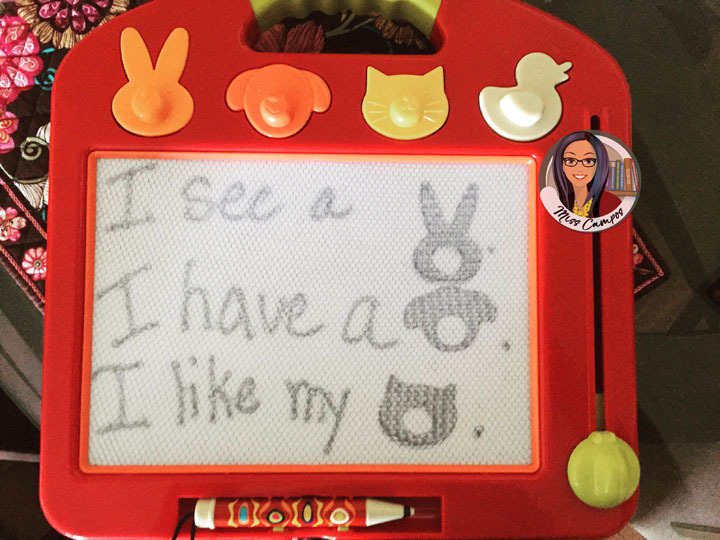 A mini chalkboard or magna doodle will do as well as good old-fashioned paper & pencil. The directions for the game are simple. I call out a sight-word and the kids pick up their flashcard ring and search for the word. Once they find it they have to write it on the mini whiteboard. I watch them carefully and call out who is first, second, third, fourth, fifth, and sixth place. That makes it a bit of a race and adds some excitement to the game. Last, we all take our finger and point to the letters on our flashcard and spell the word out loud. Then we take our mini eraser and we erase one letter at a time while we say the name of the letter out loud. This involves a lot of practice because a lot of kids will rush to erase the whole word and if they do I make them rewrite the word and erase one letter at a time while saying its name aloud all over again until they learn to follow my directions of erasing only one letter at a time. 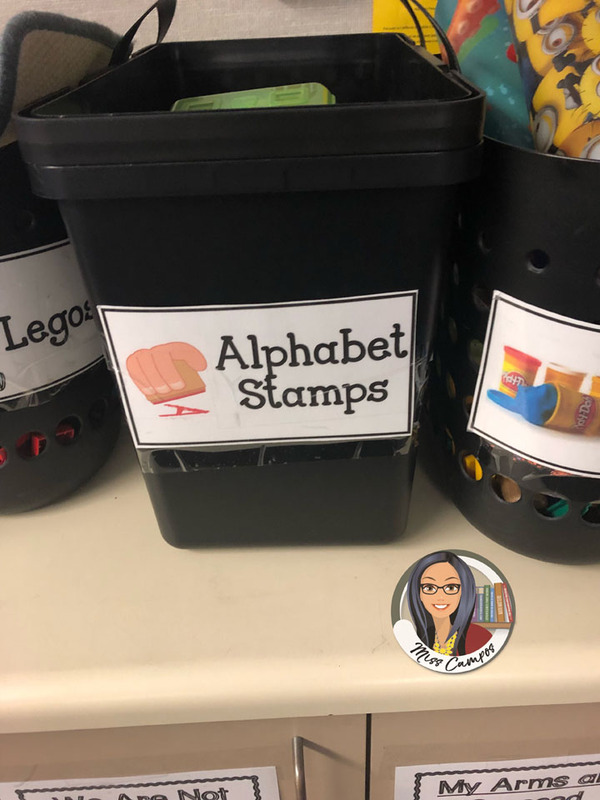 Another popular form of practicing sight words is with alphabet stamps. 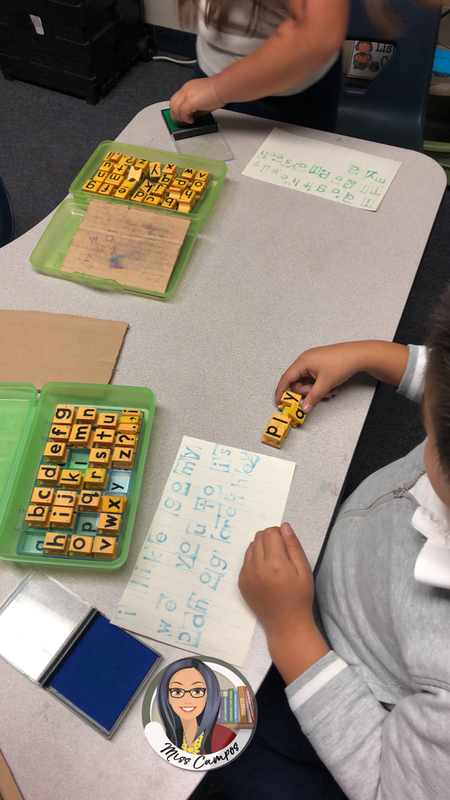 We use a set of six alphabet stamps as a writing center. Kids use their writing centers when they’re done with their writing assignment for the day. My last teacher-tested idea for sight-word practice involves magna doodles. 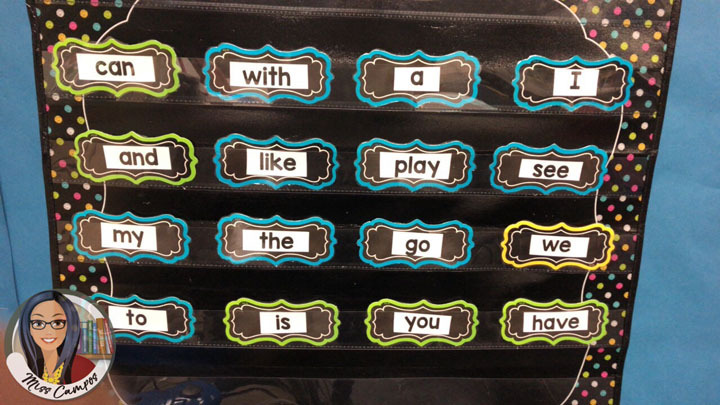 Not only do they have enough space for a few sentences they also come with magnet pictures. Kids can build rebus sentences with their sight words and read them off to me. Also, I can give them dictation sentences with the magnet animal words too. Magna Doodles can also be used as a writing center. I place flashcards on each magna doodle and have the kids play “Find It, Write It” on their own. Or I ask them to write each sight-word repeatedly on the Magna Doodle screen before erasing and moving on to the next word on the ring. They can also write each sight word one time. The possibilities are endless and the motivation is high. The flashcards are classroom accents from my local teacher supply store. 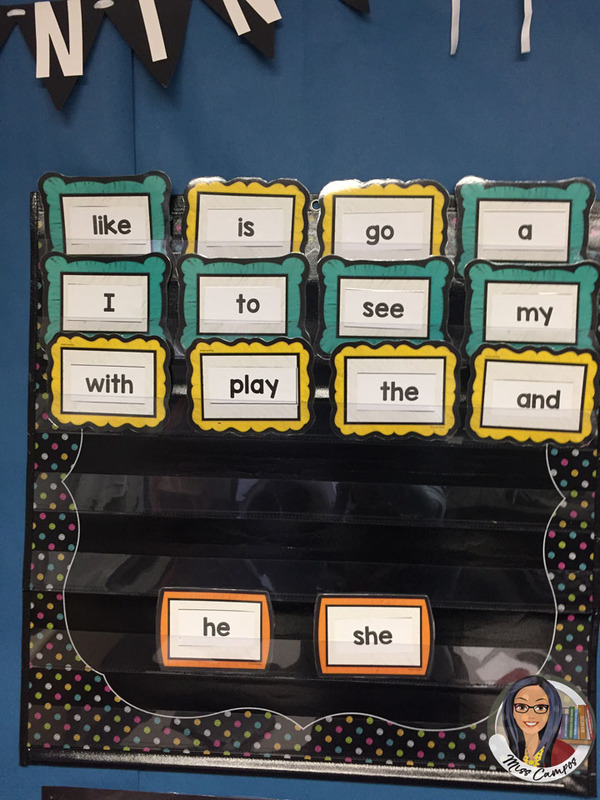 Sight-word fluency is an important part of any Kindergarten and First Grade classroom. I really enjoy teaching them and I think it shows in the excitement my students demonstrate daily when we practice them. 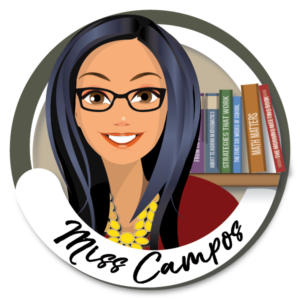 Be sure to stop by my blog’s free resource library. I have a bingo sight word game in there for you that’s totally free as well.